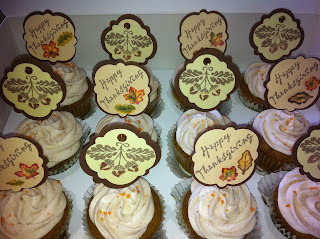 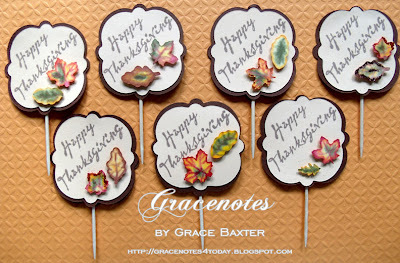 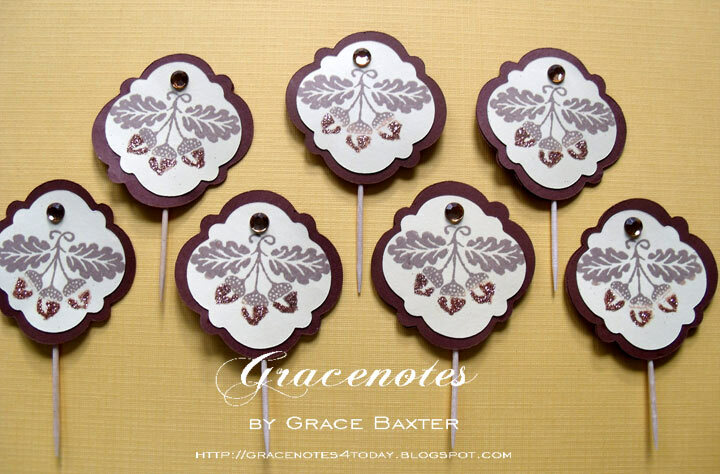 Here's a little set of cupcake toppers I made for Thanksgiving. 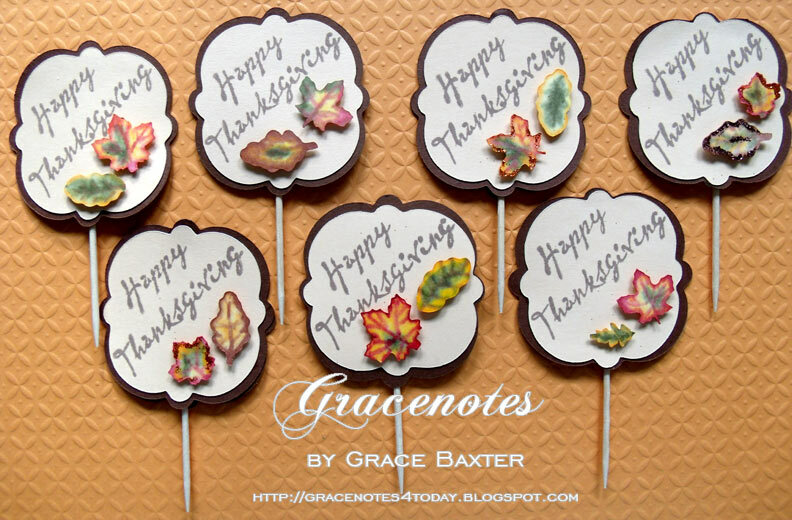 Some are a general Fall theme that could be used anytime throughout the autumn season. 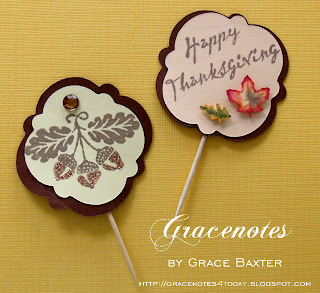 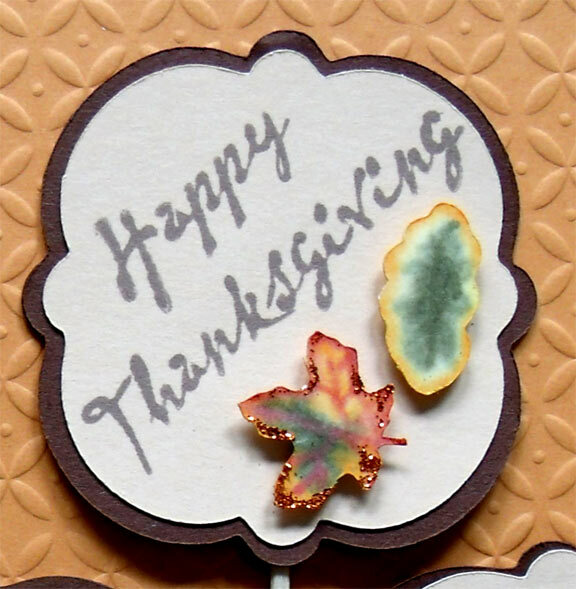 The "Happy Thanksgiving" toppers feature leaves that were all cut from white cardstock, then hand-painted using my ProMarkers. Here are the toppers on the finished cupcakes. 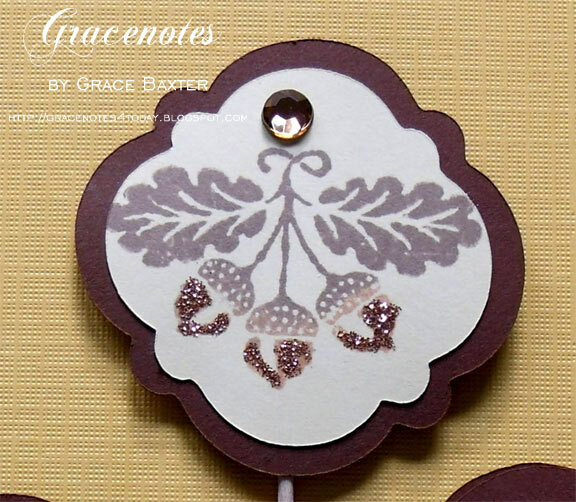 The acorns were first stamped in 2 colours, then I added sparkle to the bottoms. 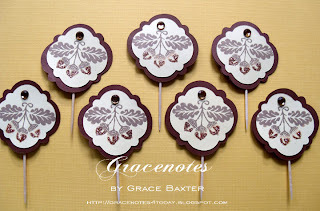 I cut the fall leaves and tags shapes all using Straight From The Nest. Here's a closeup of the acorns, adorned with glitter.